Book our LED uplighting hire service to transform your chosen venue now! 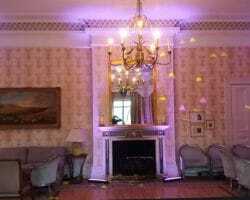 Make your chosen wedding venue come alive, hire our LED uplighting /mood lighting that will set the perfect ambience for your wedding, whether it be a seaside wedding in a Brighton hotel, a manor barn wedding in East Sussex, a castle wedding in the West Sussex countryside or a private home wedding in central London. 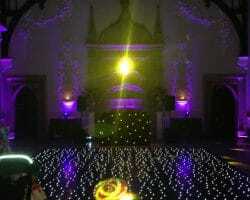 LED uplighting/mood lighting hire allows you to transform virtually any venue into the perfect stage for your wedding, uplighting/mood lighting really does add a lovely ambience during the day, but then, when evening comes and the wedding DJ gets the party started the uplighting/mood lighting creates a very striking effect perfect for your wedding party. 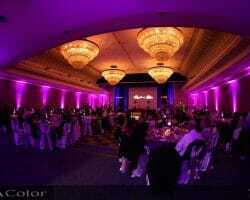 The colors options are endless, blended from red, green & blue LED light fixtures, the only limit is your imagination. 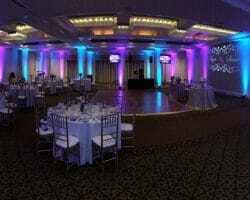 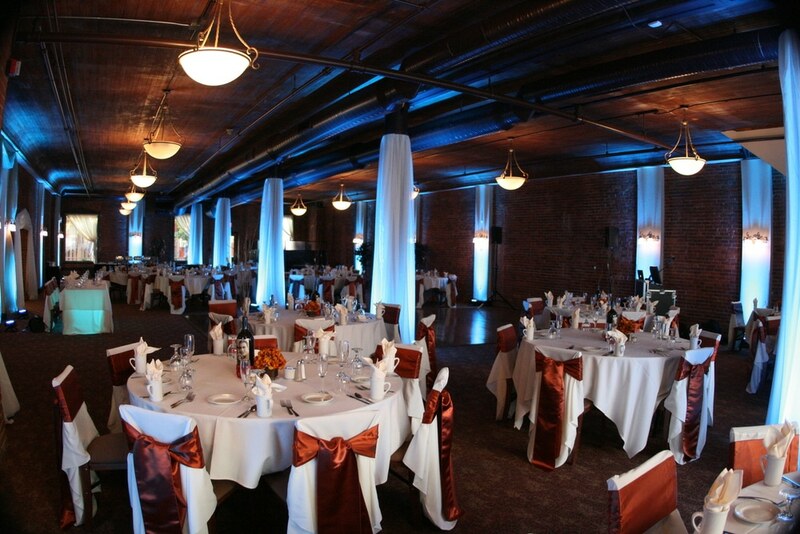 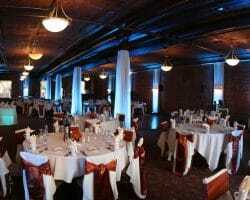 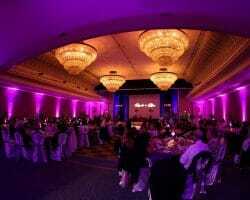 Our before uplighting/mood lighting and after uplighting/mood lighting pictures speak for themselves. 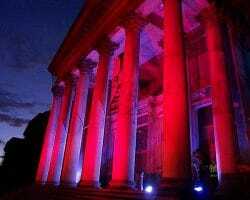 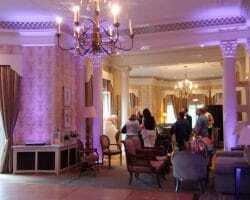 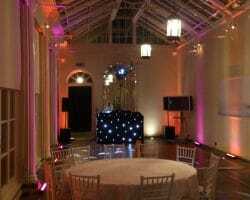 We provide our uplighting/mood lighting hire service for weddings in East Sussex, West Sussex, Surrey and London. 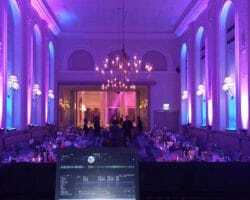 Transform the venue you have chosen for your corporate event with Uplighting/mood lighting hire, it will add the right ambience pertinent for your important corporate event, whether it be a conference at a hotel in South London, a product launch at a museum in Central London, a company dinner dance or an award evening at a golf resort in North London. 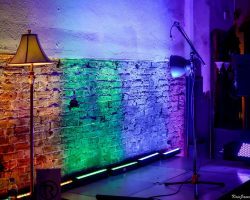 LED uplighting/mood lighting hire allows you to transform virtually any venue into the perfect stage for your corporate event, the colors options are endless, blended from red, green & blue LED lighting fixtures, so you can choose virtually any colour. 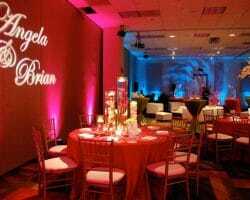 A large number of corporate businesses have branding or a company logo that is often dominated by one or two specific colours. Uplighting/mood lighting colours can be matched to exactly the same colours as used in your company logo or branding, so therefore it is an extremely effective way to reinforce your branding at corporate events. 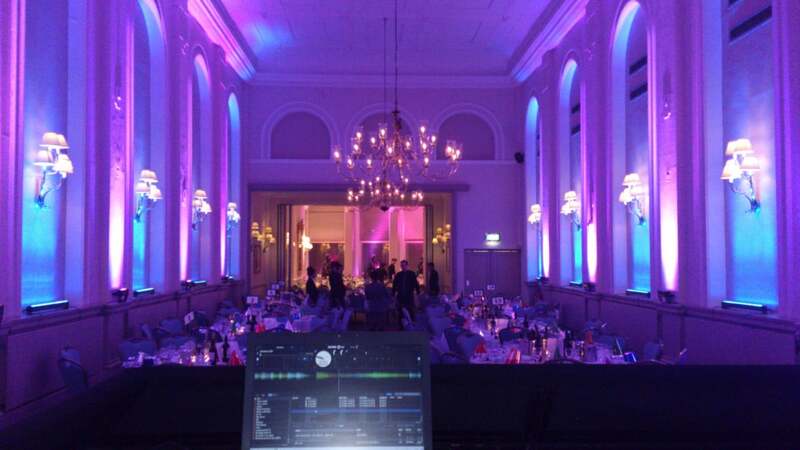 LED uplighting/mood lighting colours are nearly always set to static, but we can also programme them via DMX to change colour over a choosen period of time, this really can add dynamics and movement to your corporate event. 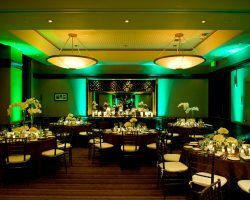 Take a look at our before uplighting/mood lighting and after uplighting/mood lighting pictures, they really do speak for themselves. 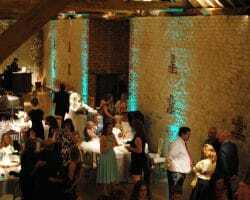 We provide our uplighting/mood lighting hire service for corporate events in Sussex, Surrey, South London, Central London and North London.